This was probably the best Pizza we have made yet. Being undecided has its benefits and this was one of them. I was hungry for Chicken Cordon Bleu and the other two wanted pizza. Our daughter, who is by far very picky, so we made her Cheese and Pepperoni pizza. 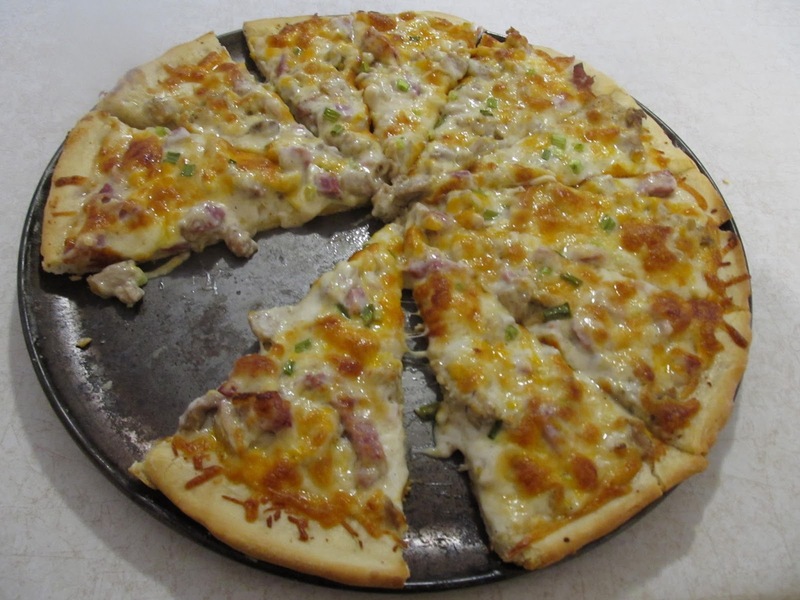 We decided that we would try Chicken Cordon Bleu in pizza form, which was quite fun to make. So this is how we made our Chicken Cordon Bleu Pizza. We also had left over chicken in the fridge and Ham that we just cubed up. * For the dough, we used our Basic Pizza dough recipe. Which is in another post. Next we made the Alfredo Sauce. 1) Preheat oven to 400 degree’s. 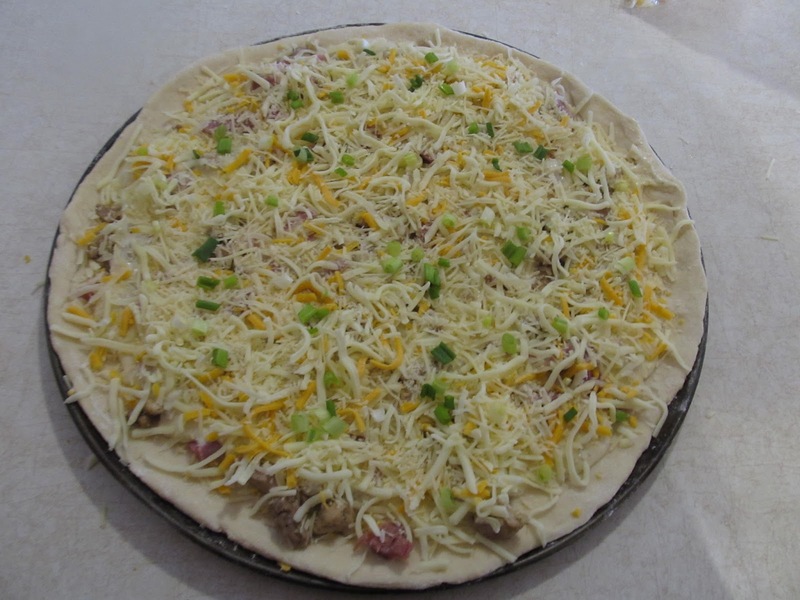 2) Once the dough is rolled out and on the pizza pan. 3) Spread the Alfredo Sauce over the crust. 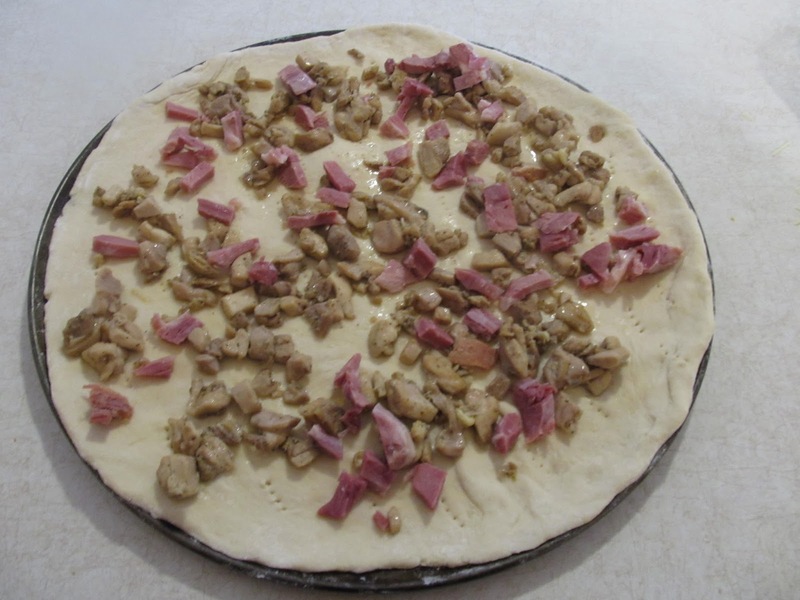 4) Spread out cooked and cubed Chicken and Ham over the pizza. 6) Add more of the Parmesan Cheese. 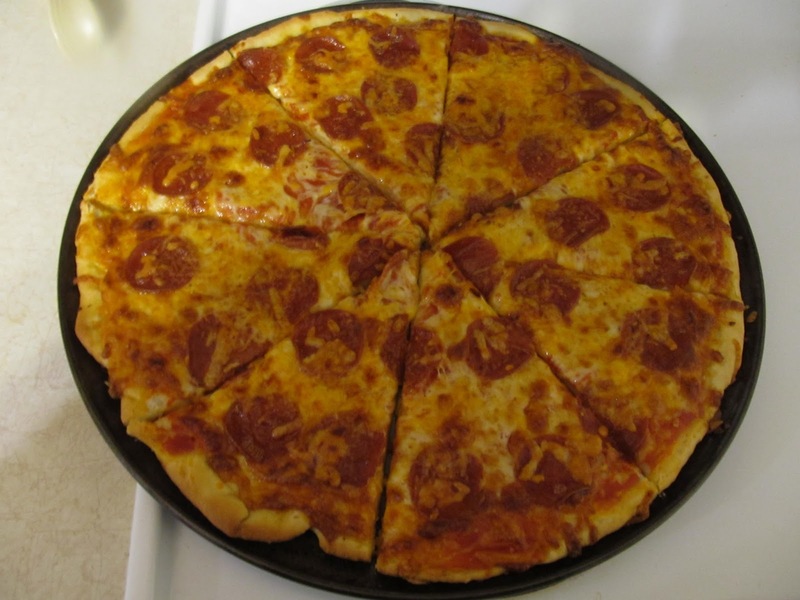 7) Place pizza in oven for 20 minutes or until golden brown around edges of the pizza. One of our add ins was green onion (chopped). I was worried to try this pizza as Chicken Cordon Bleu in pizza form? Mark had already taken a bite and sat back and asked what I thought about it. He looked like he didn’t like it. I took a bite and I know my eyes went wide as “wow”, I don’t think I have ever tasted a better pizza then this. We gave a small piece to our daughter, she wanted another piece. I can’t wait til the family gets together again, for this will be one pizza they will fall in love with. So if your looking for that one of a kind Pizza, Please give this one a try and I promise you it will be your favorite too. I wasn’t sure how it would taste until I tried it. One of my favorites now. I am so happy that you tried it. 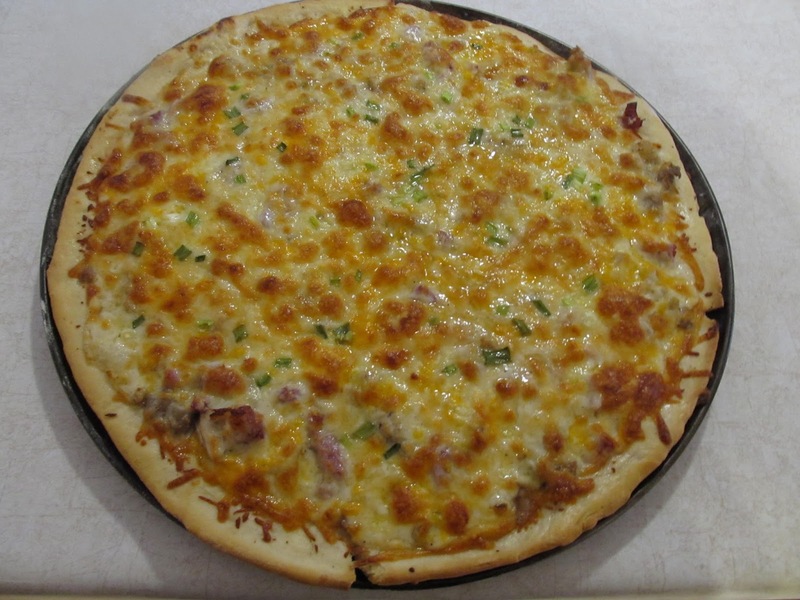 This coming Friday will be another of my favorites “The Mac Pizza”. You are so clever! This sounds amazing!! !